Suggestions for enhance your Mobile Data package. 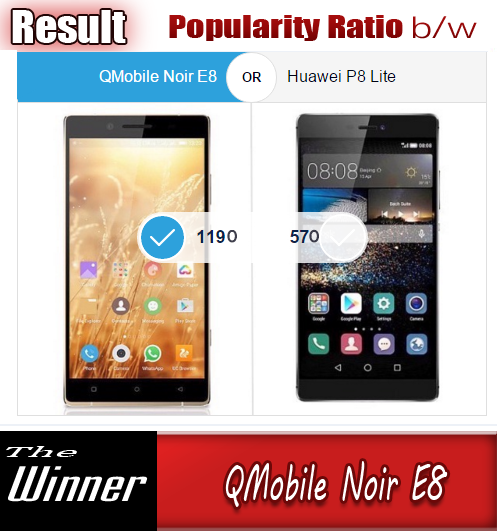 It is a very common problem of almost all Android mobile phone users that whenever they use internet on their Sim card due to the absence of Wi-Fi network, they find very quick loss of their money and abrupt ending of their internet packages whatever they have subscribed for. There are a lot of factors are responsible for this mishap. 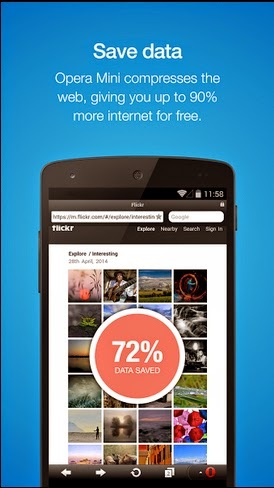 Many of Android applications are automatically start work when you connect your phone to internet via mobile data. These applications start to download or upload some stuff on their own behalf without noticing you. For example news applications, whether applications , location based applications start to update themselves at the very time when your phone gets connect to internet. 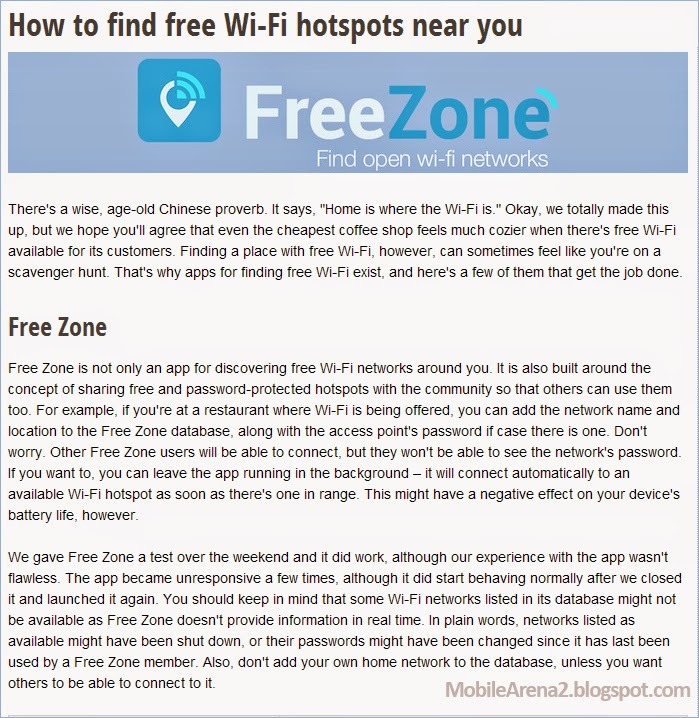 On Wi-fi networks this also happens but no one have to face any trouble due to the unlimited internet facility available. But as the data availability on sim-card based internet is limited so this phenomenon causes a lot of tension for users. Here are some suggestion. You can use your internet package for sufficiently long time if you follow them. 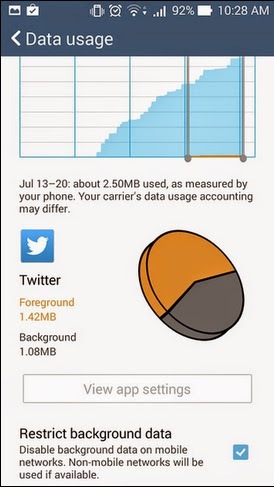 If you know you have an app that's using a lot of data, but you don't want it to use any while it isn't active, you may restrict its background data use. You do that by going to Settings > Data usage. Then scroll down and find that data hungry app. Tap on it and scroll down - the option to restrict its background data use should be there. 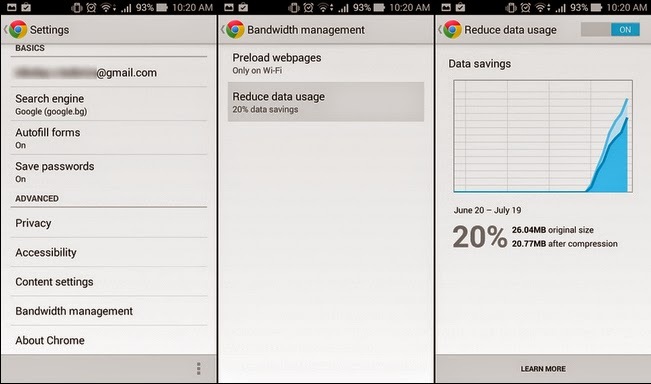 If Chrome is your browser of choice, you may enable its built-in data saving mode by going to Settings > Bandwidth management > Reduce data usage. This will compress data before it is downloaded to your phone, thus reducing your consumption significantly. The only downside to this solution is that image quality may be slightly reduced. Alternatively, try Opera Mini. It is a popular third-party browser with a very effective data compression built into it. Up to 90% of data savings can be expected under ideal conditions, although results vary depending on what content is being displayed. It is very easy in use and it offers you a lot of other beneficial options that many of browsers do not offer. In this browser you can switch off displaying pictures and enable only text mood. 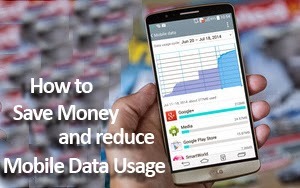 It help a lot when you have a very low data plan remaining in your hand. You can download it right now from given link below. 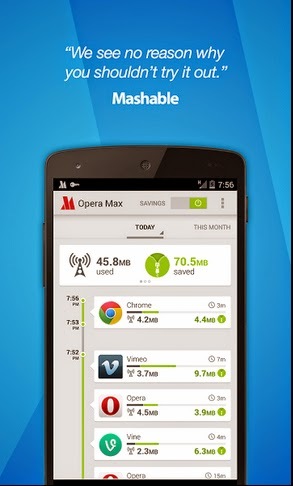 Opera MAX is a brilliant data manager that can potentially reduce the data used by the apps on your phone. It works by compressing incoming data of various kinds, even videos. In fact, it is claimed that Opera MAX can shrink a 10MB video down to just 3MB, at the expense of quality, of course. Best of all, the app comes for free so nothing is stopping you from giving it a try. Just keep in mind that the service is still in beta and might not work perfectly. 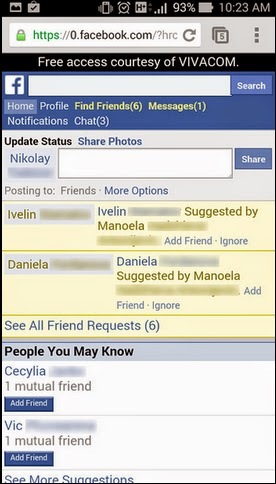 This trimmed down user interface for the popular social network is meant to allow Facebook users to access their profile from mobile devices without doing so consuming any data from their allowance. Not all carriers would give you free Facebook access, however. The best way to check if yours is participating is to type the above address in your web browser and then try to log in. (That's a zero, not the letter O, by the way.) If no error messages are displayed and if you're taken to a "lite" Facebook web page, then you should be good to go. If you often find yourself watching YouTube videos on your mobile device, then you should stick to SD quality when you aren't on Wi-Fi. 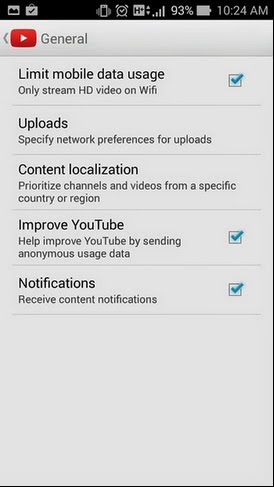 You do that by launching the YouTube app and going to Settings > General. 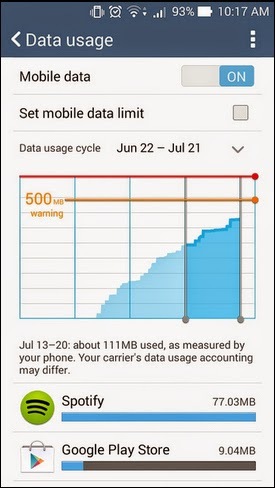 Then enable the "Limit mobile data usage" option. You may also try an alternative YouTube client such as Viral Popup. It has a ton of cool features and one of them is the option to pick video quality manually - from 144p to 720p. Lower quality videos use less data. If you stream audio to your mobile device, see if there's an option to reduce the stream's quality as that would use less data. 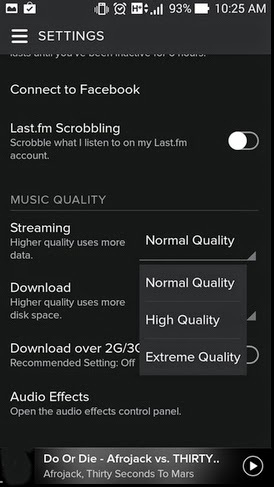 In Spotify, for example, High Quality mode streams at 160 kilobits per second, but Normal Quality does so at just 96 kbps. Better yet, download your favorite songs when connected to a Wi-Fi network so that you don't use mobile data to download them later. 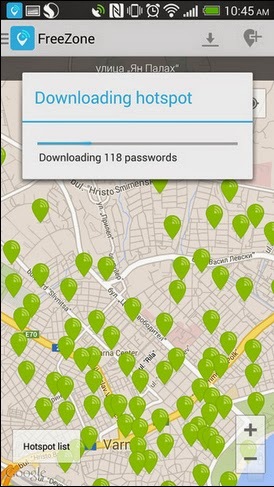 As far as the open Wi-Fi networks are concerned, there are apps made to help people find open Wi-Fi networks, as well as that Wi-Fi networkd which are available with a shared password for. Download the applications from here. 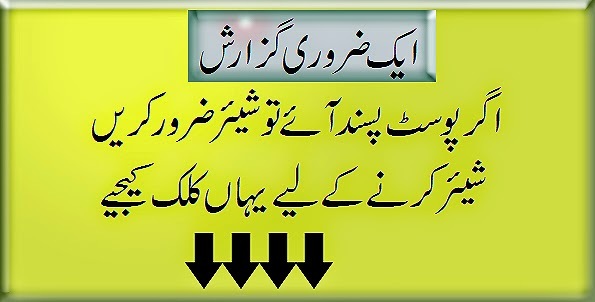 Here is the guide to know that How-to use this application in your phone. 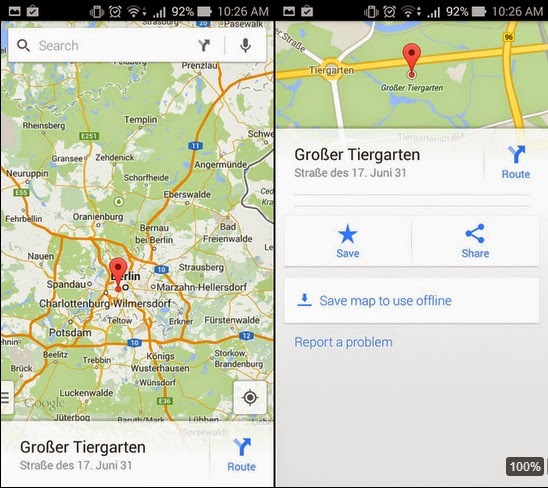 Google Maps lets you download areas for offline use. You do that by dropping a pin on a location with a long press. Then pull up the tab that appears next and choose "Save map to use offline". Note that saving maps does not work for some areas. If you need to send images to someone via email or Skype, it would be great to reduce its size with an app like AVG Image Shrink. 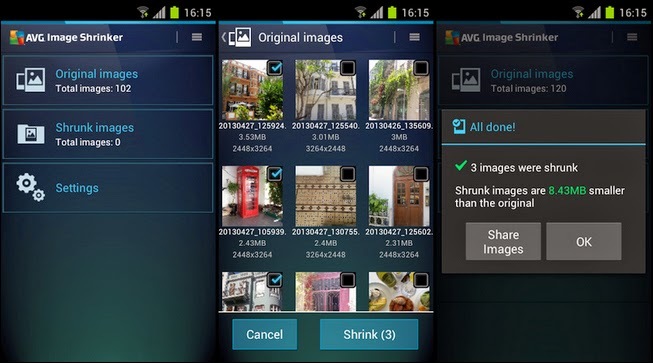 A smartphone's full-res photos can be several megabytes in size each, but a compressed image can be a tenth of that. Some social networking apps, such as the Facebook one, have automatic compression already built into them. Yes, we know that flipping the switch is the most obvious solution to saving up data, but it is, without a doubt, the most effective one. Simply, turn off your 3G/4G connection whenever you don't need it. Most manufacturer UIs should have a toggle button for this setting in their notification panels. However the downside to this approach is that you won't be getting email updates and social network messages.